If you love Chipotle (and who doesn’t?! 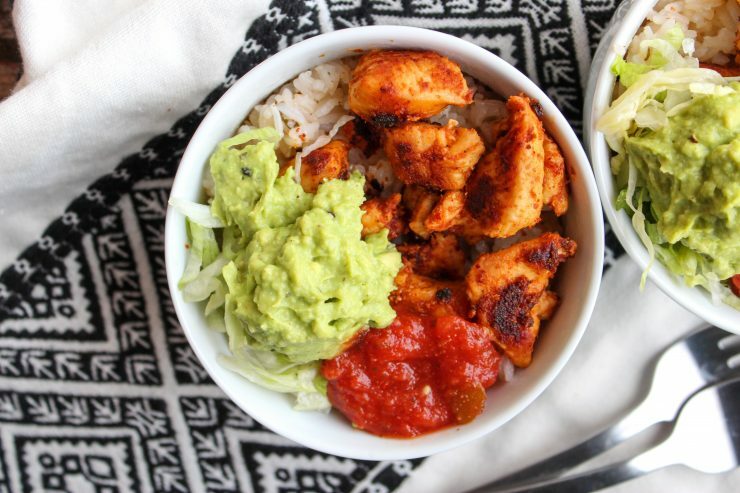 ), you’re going to love this Chicken Burrito Bowl Recipe. If you’re like us, you always need a few recipes in the bag you can pull out at a moments notice and use. For us, some weeknights can be busy and hectic, which leaves me with very little time to cook. 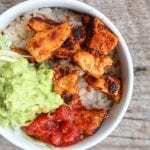 On weeknights that are crazy, this simple and delicious recipe for Fajita Chicken Burrito Bowls always saves the day! The only complaint I’ve had so far when making them is that there just wasn’t enough leftovers. That’s a good complaint to have! This recipes tastes so good re-heated and taken to work the next day, making it perfect for meal-prep lunches. I like to start with three boneless, skinless chicken breasts. I trim any fat from them and cut them into bite sized pieces. Since there’s not much fat in chicken, I add one tablespoon of extra virgin olive oil to a skillet and heat that before adding the chicken. Once the chicken has been added, season it with the spices and seasonings listed in the recipe card below and toss to combine. Cook the chicken until cooked through and browned with a “crust”. That lovely crust give this chicken such a wonderful flavor! While the chicken cooks, I make my Cilantro Lime Rice in the Instant Pot. 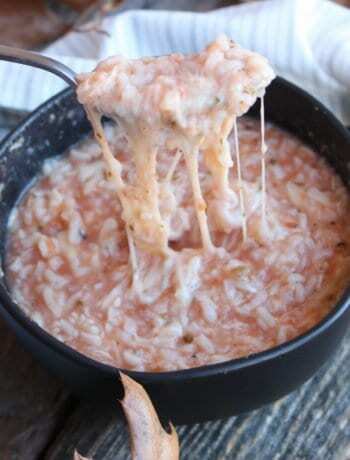 This rice is bursting with flavor and so fast and easy to make! 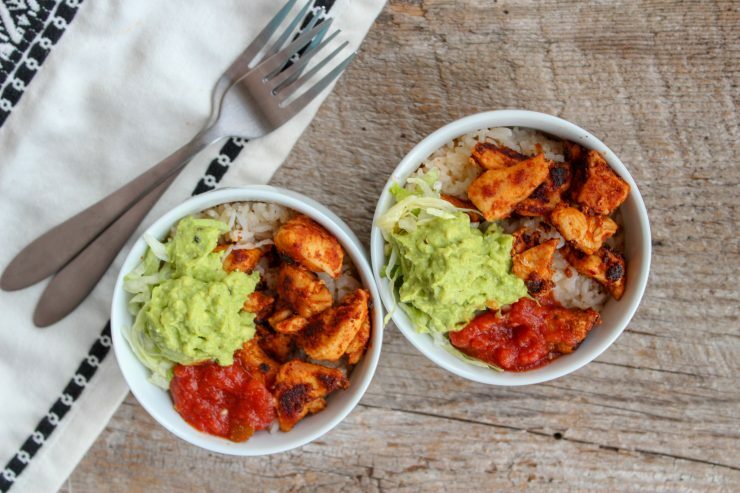 It also creates the perfect base for these delicious chicken burrito bowls. 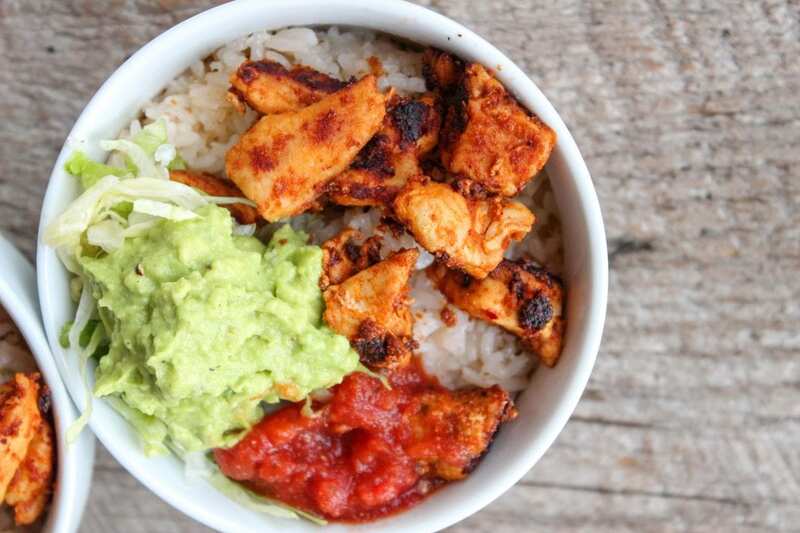 If you’re following a Low Carb or Keto lifestyle, simply omit the rice and eat these burrito bowls as-is or add in cauliflower rice for a healthy, low-carb option. Now that your rice base is cooked and ready to go, I like to layer my Chicken Burrito Bowls with rice at the bottom, then chicken on top. Toppings are everything in my world and I’m a big condiment lover, so I heap those healthy toppings on! Our favorite toppings include shredded lettuce, fresh salsa, and homemade guacamole. If you want a kick you could add diced red onion, sliced jalapenos, hot sauce, black olives, or grilled corn. Really, anything that sounds good as a topping will probably taste delicious on these burrito bowls. If you’re meal-prepping these for work lunches, I suggest putting any toppings that you don’t want re-heated in a separate container. Things like lettuce, guacamole, sliced avocado, or sliced olives should be set aside when re-heating the burrito bowls. A little trick I like to use to make meal-prep simple and effortless is to just cook extra at dinner time. If I know I need work lunches for the week I make a double batch of our dinner and then put the leftovers into meal-prep containers. That way I cook once but I have several meals in a very short amount of time. The clean-up is minimal too! 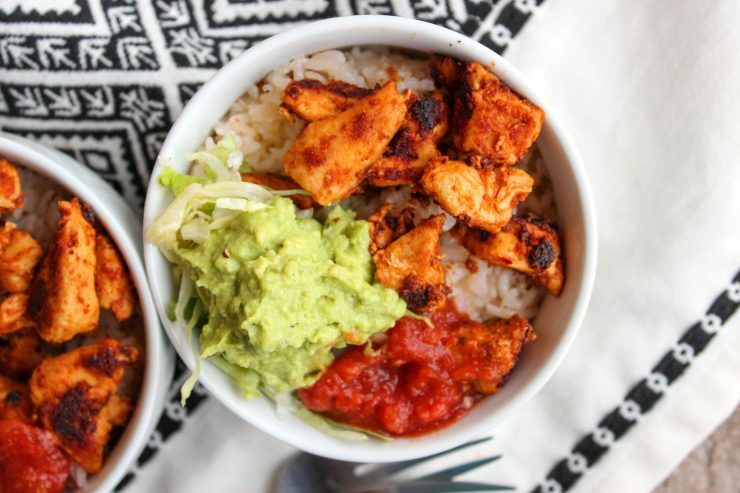 I hope you enjoy this Chicken Burrito Bowl Recipe and please do come back to visit soon! 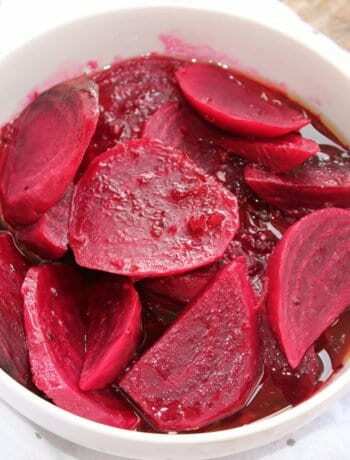 If you love this recipe, please leave me a comment below and rate the recipe. I love hearing from you! A simple and delicious recipe, perfect for meal prep and on-the-go work lunches or a fast and easy weeknight dinner. Place the olive oil in a large skillet and heat until hot but not smoking. Dice the chicken breast into diced sized pieces, trimming any fat from them. 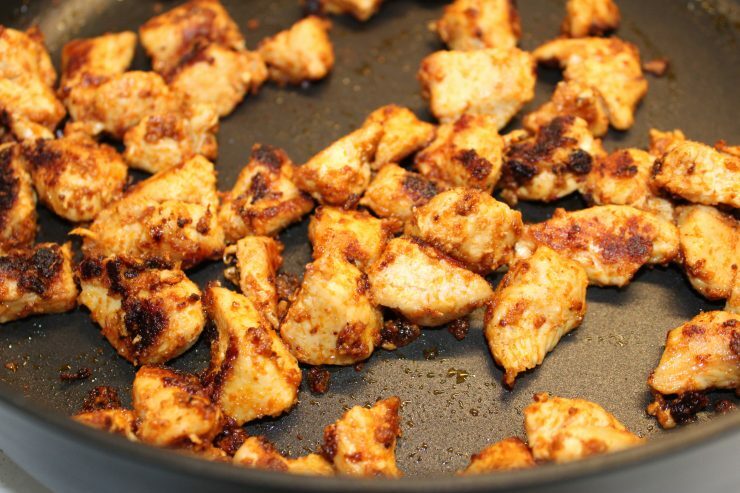 Place the diced chicken into the hot oil and season with the Tajin, cumin, salt, pepper, onion powder, and garlic powder. Toss the chicken in the oil and seasonings, and continue cooking on medium heat until the chicken is cooked through and browned. This should take around 10-15 minutes. Cook the rice according to recipe instructions (recipe is linked) and start building the burrito bowls using the rice as the base. You'll need 1 cup of rice per each bowl. Add in 1/6 of the chicken and top with 1 tablespoon of guacamole, 1 tablespoon of salsa, and 2 tablespoon of shredded lettuce per each bowl. Nutritional information calculated without the rice. 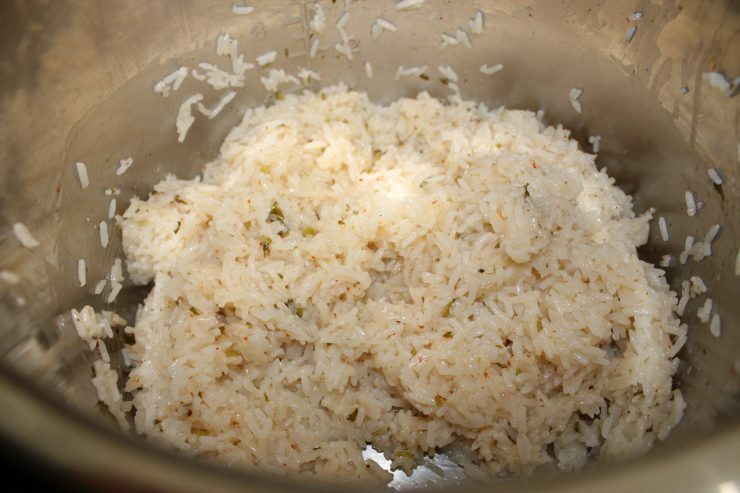 If serving with the Cilantro Lime Rice, check the recipe link for nutritional information and factor that in. To keep this dish Low Carb and Keto friendly, serve over cauliflower rice or enjoy as-is. Your Chicken Burrito Bowl looks great! Thanks so much for sharing with us at Full Plate Thursday and hope you are have a great week! Thank you! We love this for a fast and easy meal or for weekend meal-prep! 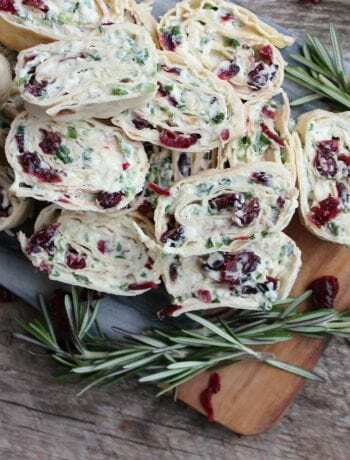 This looks like a perfect weeknight dinner – easy and delicious! Thanks for sharing at the What’s for Dinner party! Hope to see you next week too!